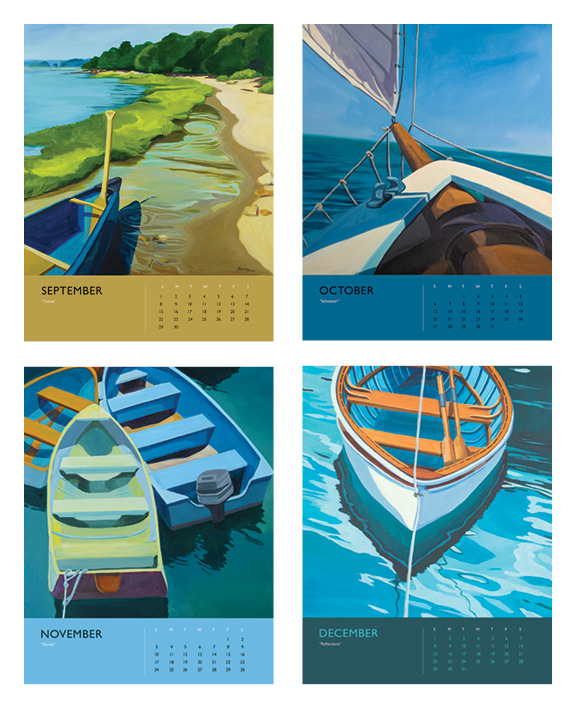 An art calendar devoted to the boat lovers. 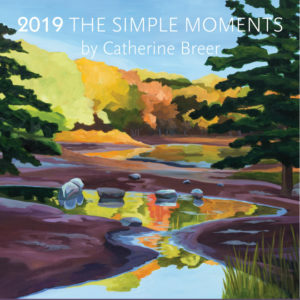 Created from a collection of Catherine Breer’s landscape paintings. 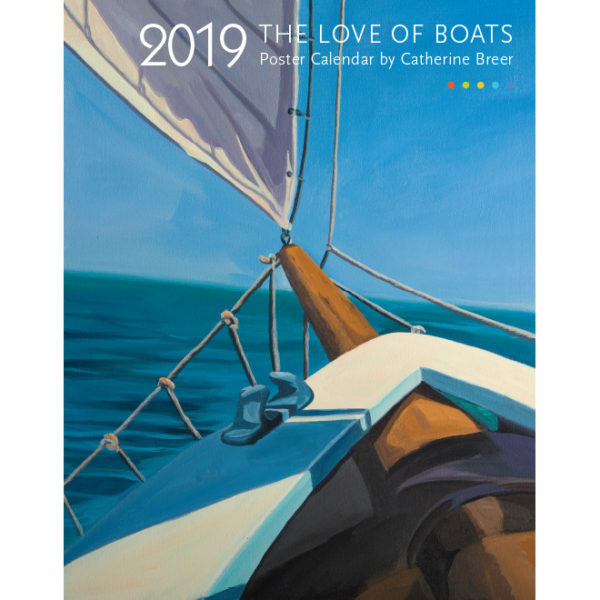 Every year in the past decade, Catherine Breer has meticulously documented her travels, creating keepsake calendars of her paintings. 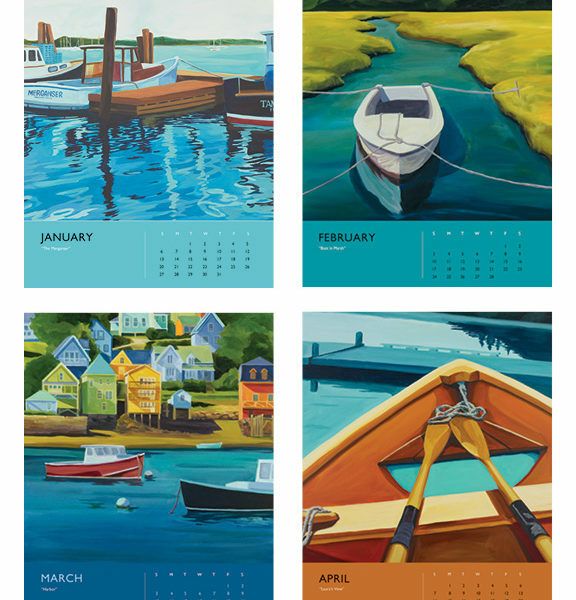 Coastal art has long been a focus of Catherine’s landscape paintings. 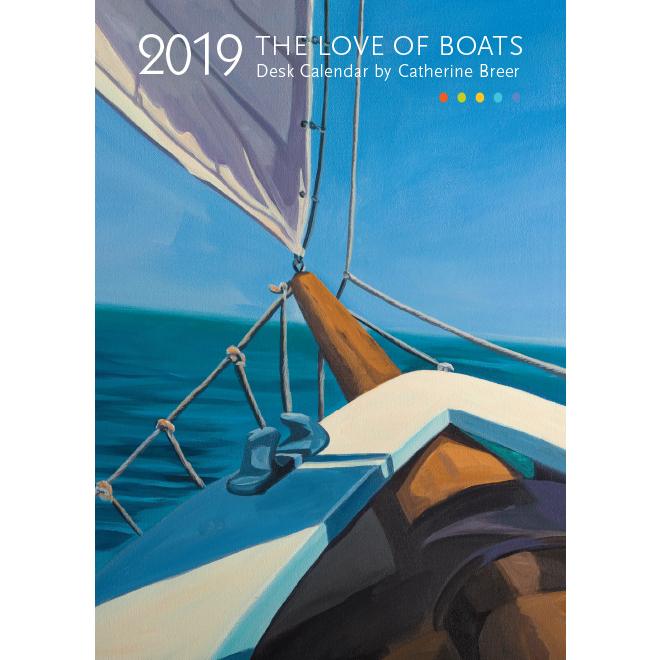 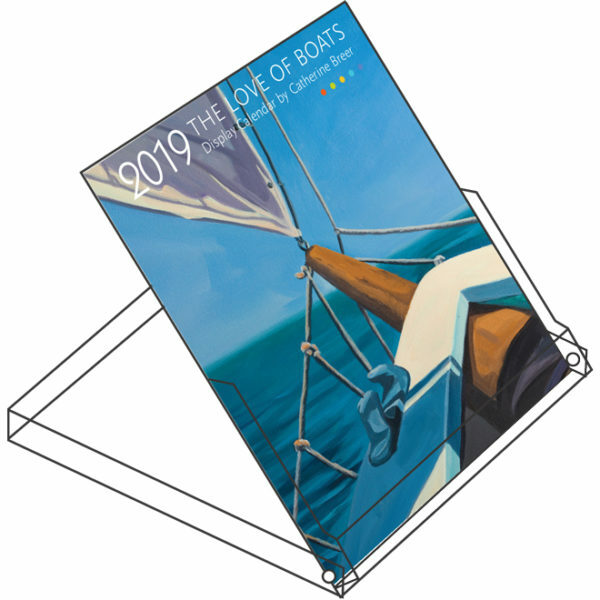 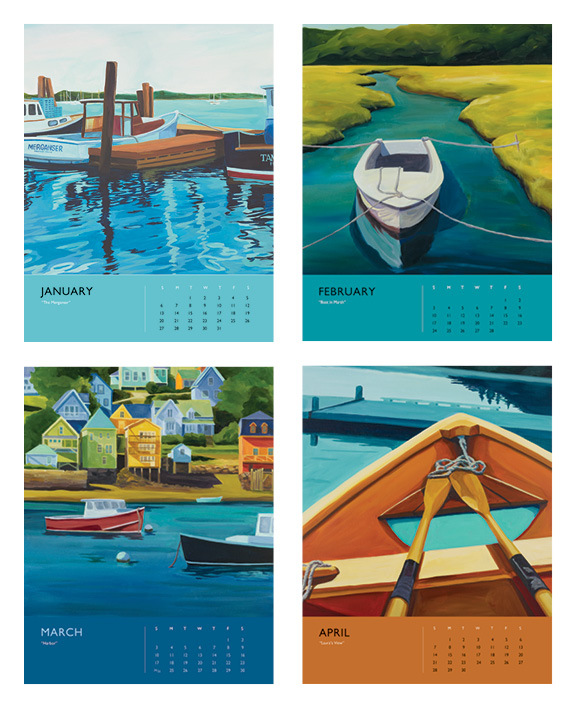 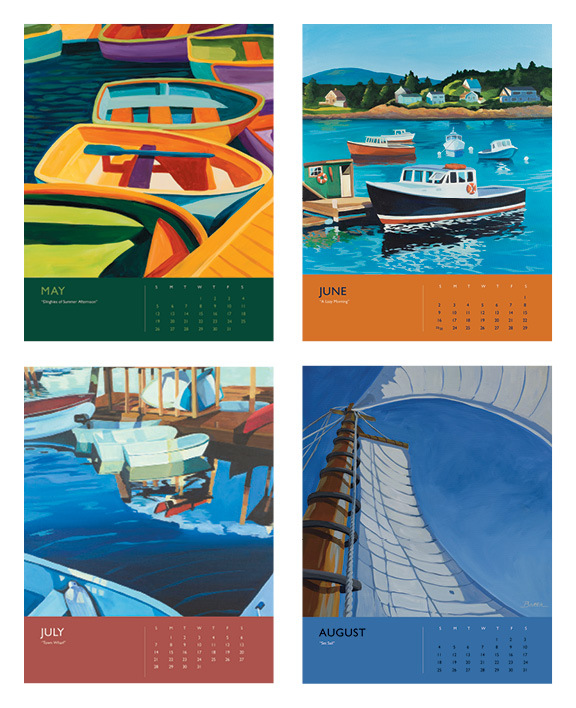 This year we assembled her favorite boat paintings to create the Love of Boats Calendar. 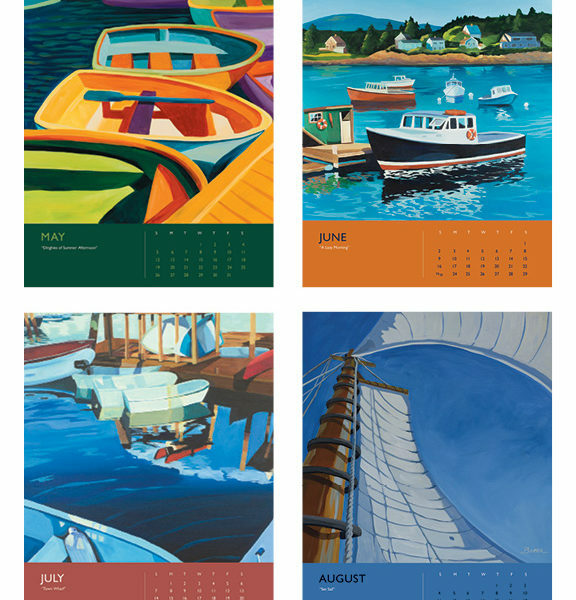 I’ve always loved painting boats. One day, long ago, someone said to me, “Oh, you’re the boat lady.” After that I don’t think I painted another boat for a few years. 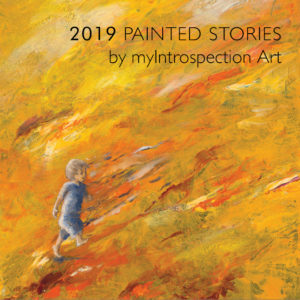 But recently I’ve come back to an old favorite. 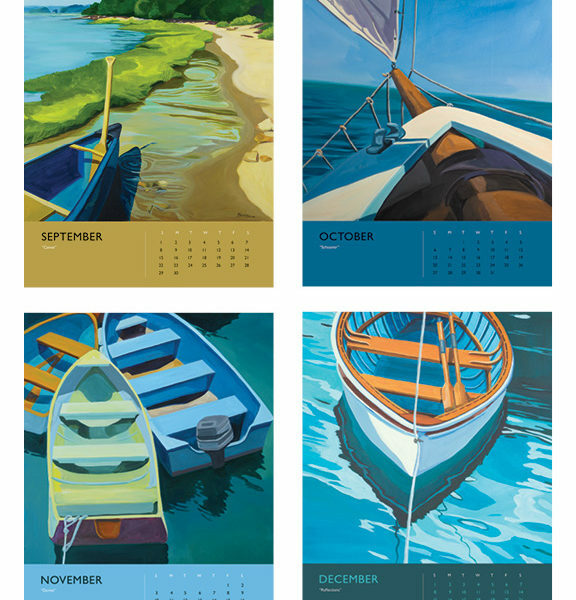 Maybe it’s something about what boats represent: freedom, wanderlust, spontaneity, new places and new experiences. 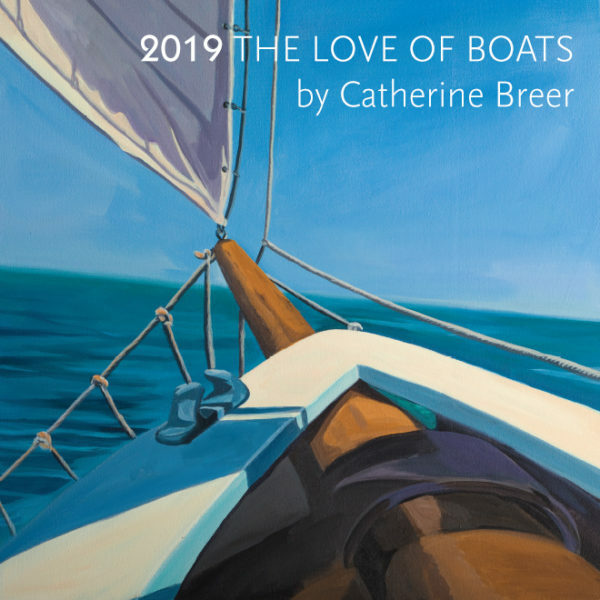 I was first drawn to the shapes created by the shadows, but over the past few years I’ve also become interested in the play of reflections on the water: ripples, movement, light, shadow. 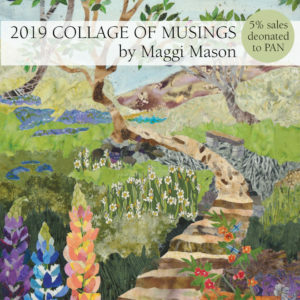 It all fascinates me.